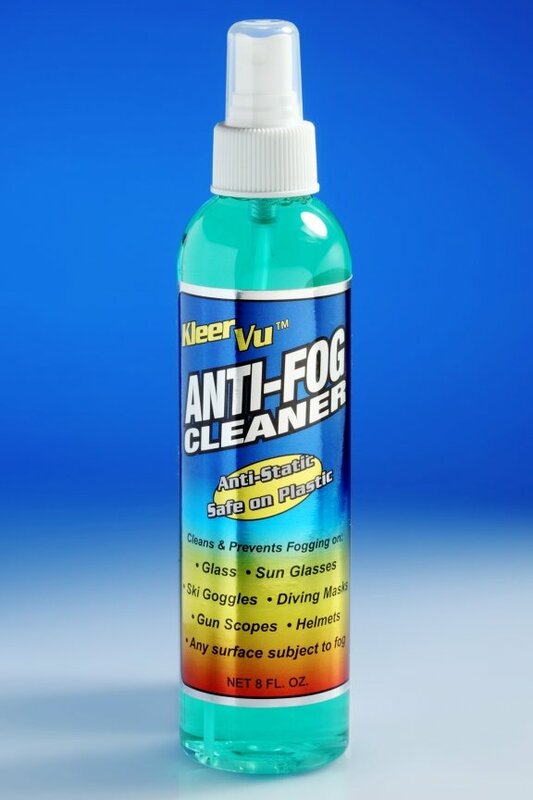 KleerVu spray works as an anti fog and cleaner for eyeglasses, gun scopes, binoculars, sports goggles, military masks and goggles, and an anti fog spray cleaner for any glass or mirrors, auto, motorcycle, and boat windshields. It stops restaurant sneeze glass and refrigerated glass displays from fogging as well. 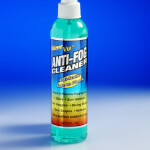 It also prevents debris and tiny dust particles from adhering to lenses or other glass or plastic surfaces. KleerVu contains no silicone, alcohol, ammonia or abrasives. It will not scratch or harm glass or plastics. 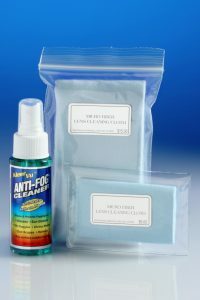 Especially safe on lexan that is used for motorcycle and boat windshields. KleerVu also softens bugs so they are removed easily without scratching the windshields. 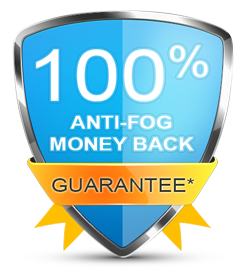 Note: May not be 100% ‘anti-fog’ effective on all newer prescription lenses with anti-reflective coatings. 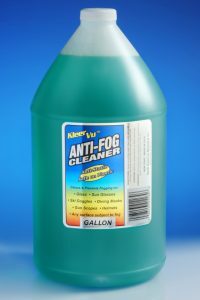 KleerVu Anti Fog is Non-Flammable & Non-Hazardous. The 8 oz. 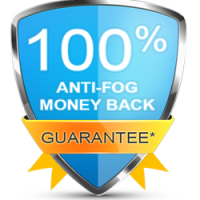 will give you OVER 1,000 applications if properly handled – many more applications than many other anti-fog products on the market today! 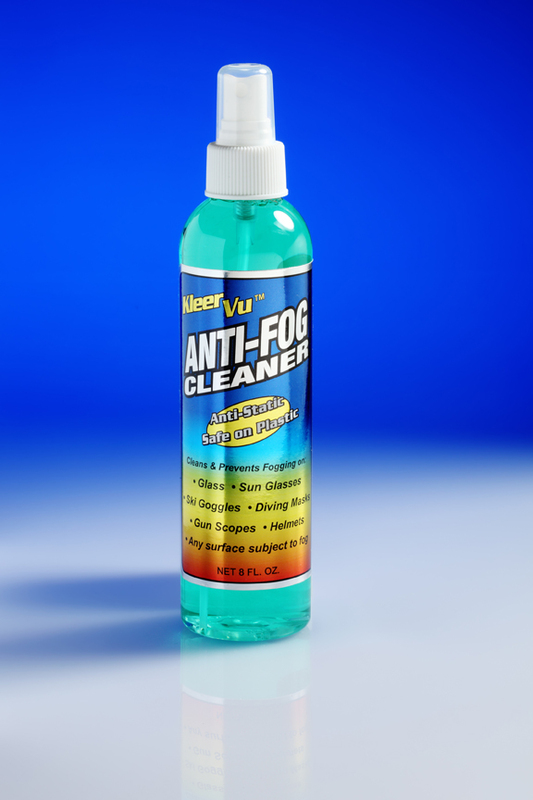 Kleer-Vu works as an anti fog on glass for restaurants, food processors and other glass that requires anti fog. Works just like it says, what a great product! 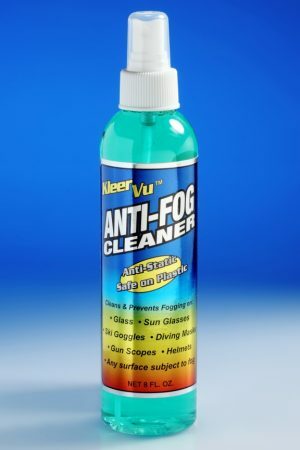 killer product, ordered it by the case with my last job. I’m a safety manager. finally got the crews to stop complaining of fogged glasses. thank you so much. My computer monitors stay so much cleaner and dust free after using KleerVu Screen Cleaner. KleerVu © 2018. All Rights Reserved.